Sunworks Farm is the home of Ron and Sheila Hamilton is located near Armena, Alberta. We are guided by our philosophy and strongly believe in the principals of organic and holistic agriculture, as well as the importance of ethical/humane handling of all creatures, including our farm animals. We are committed to marketing as much of our products as possible directly to the consumer. In this way we can offer the highest quality meats and eggs at a fair price. We enjoy discussing our products and how we raise our animals with our customers and we welcome your comments. All our beef is 100% grass fed. Our chickens, turkeys, laying hens, and pork, are all raised on pasture in the summer and fed free choice certified organic grains. In the winter the poultry is brought inside and are fed certified organic alfalfa. Our pigs remain outside are fed certified organic hay and alfalfa with free choice grain. Our beef remain outside and are fed certified organic hay. Our hens are raised free run in moveable shelters that are moved daily onto in the summer onto fresh green grass. The hens feel secure laying their eggs in the nesting boxes which are in the shelter. In the winter the hens are brought inside and given lots of space to run around, clean bedding and healthy free choice certified organic grains and organic alfalfa. They are fed certified organic grains. No chemical wash or sealants are used when cleaning the eggs. The eggs are large and brown with dark yellow yolks that are filled with goodness. Our cattle are 100% grass fed certified organic and BCSPCA certified humanely raised. Our cattle are raised in the pastures year-round. In the summer they are moved daily onto fresh grass and provided with fresh clean water. In the winter, they receive free choice certified organic hay and certified organic alfalfa cubes. The cattle are not given any grains or grain by-products. Only high quality grass or hay. Our pigs are raised on the pasture. They are free to eat the grass and be in the fresh air and sunshine. The pigs are moved regularly onto fresh pasture and are provided with free choice certified organic grains. Are you an all-white meat kind of family? This is the perfect holiday choice for you!<br> The heritage breed this year is Orlopp Bronze Turkeys, developed in 1935 by the Orlopp family. These birds will provide a rich, wonderful bounty for your holiday. All meat is grown onsite by Sunworks Farm in Armena AB & provincially inspected. </br> </br> Each turkey breast is individually priced based on actual weight. Price is $35.99/kg. The average weight 1 kg. Are you an all-white meat kind of family? This is the perfect holiday choice for you!<br> The heritage breed this year is Orlopp Bronze Turkeys, developed in 1935 by the Orlopp family. These birds will provide a rich, wonderful bounty for your holiday. 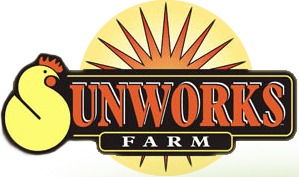 All meat is grown onsite by Sunworks Farm in Armena AB & provincially inspected. </br> </br> Each turkey breast is individually priced based on actual weight. Price is $35.99/kg. The average weight 1.6 kg. Our pigs are raised on the pasture. They are free to eat the grass and be in the fresh air and sunshine. <br><br> Organic farming has always been the foundation of our philosophy and includes: <br><br>No chemical pesticides, herbicides<br> No GMO’s<br> The promotion of diversity and soil health<br> A higher standard of animal welfare.<br> No Antibiotics<br> No Growth Hormones<br> We believe that organic is better for your health, the animal’s health and the health of the environment. <br><br> Our products are also BCSPCA certified humane. By buying BCSPCA certified humane products you know that the meat that you are purchasing came from an animal that was treated humanely and with respect. The BCSPCA program is based on the five freedoms of animal welfare: Freedom from hunger and thirst; Freedom from pain, injury, and disease; Freedom from distress; Freedom from discomfort; Freedom to express behaviors that promote well-being. We strongly believe that animals should be treated with respect from birth through death. Perfect for on the grill! Our cattle are 100% grass fed certified organic and BCSPCA certified humanely raised. Our cattle are raised in the pastures year-round. In the summer they are moved daily onto fresh grass and provided with fresh clean water. In the winter, they receive free choice certified organic hay and certified organic alfalfa cubes. The cattle are not given any grains or grain by-products. Only high quality grass or hay. By buying BCSPCA certified humane products you know that the meat that you are purchasing came from an animal that was treated humanely and with respect. The turkeys are raised on pasture in large moveable shelters that are moved daily. This provides them with shade, shelter and lots of access to green grass. The turkeys are also given, free choice, a combination of certified organic grains. Ground (Minced) Beef is so versatile you can incorporate it into umpteen appetizing dishes. Our cattle are 100% grass fed certified organic and BCSPCA certified humanely raised. Our cattle are raised in the pastures year-round. In the summer they are moved daily onto fresh grass and provided with fresh clean water. In the winter, they receive free choice certified organic hay and certified organic alfalfa cubes. The cattle are not given any grains or grain by-products. Only high quality grass or hay. By buying BCSPCA certified humane products you know that the meat that you are purchasing came from an animal that was treated humanely and with respect. Buy in bulk & save! <br><br> 6x1lb individually frozen packages of ground beef. Grass fed ground beef is higher in omega 3s and lower in saturated fat. <br><br> Our cattle are 100% grass fed certified organic and BCSPCA certified humanely raised. Our cattle are raised in the pastures year-round. In the summer they are moved daily onto fresh grass and provided with fresh clean water. In the winter, they receive free choice certified organic hay and certified organic alfalfa cubes. The cattle are not given any grains or grain by-products. Only high quality grass or hay. By buying BCSPCA certified humane products you know that the meat that you are purchasing came from an animal that was treated humanely and with respect. Keep Frozen. Gluten free, dairy free, nut free, nitrate/nitrite free, sulphate/sulphite free. All our chickens and turkeys are certified organic and BCSPCA certified humanely raised. In the summer our poultry are raised free range on pasture with shelters that are moved daily onto fresh grass. The birds have lots of room to run while still having shelters to give them shade from the sun and protection from the rain. The range area and the shelters are surrounded with mesh to protect them from predators. By moving the ranges daily, the birds have access to fresh vegetative grass at all times. This gives our birds a clean healthy environment to thrive in. The birds are fed free choice certified organic grains, vitamins and minerals. In the winter the birds are raised inside to protect them from the cold and unpredictable Alberta winters. They are given ample room to move around and express natural behaviors in barns that have lots of windows to provide natural sunlight. By buying BCSPCA certified humane products you know that the meat that you are purchasing came from an animal that was treated humanely and with respect. n.
Keep Frozen. Gluten free, dairy free, nut free, nitrate/nitrite free, sulphate/sulphite free. May contain mustard seed powder. All our chickens and turkeys are certified organic and BCSPCA certified humanely raised. In the summer our poultry are raised free range on pasture with shelters that are moved daily onto fresh grass. The birds have lots of room to run while still having shelters to give them shade from the sun and protection from the rain. The range area and the shelters are surrounded with mesh to protect them from predators. By moving the ranges daily, the birds have access to fresh vegetative grass at all times. This gives our birds a clean healthy environment to thrive in. The birds are fed free choice certified organic grains, vitamins and minerals. In the winter the birds are raised inside to protect them from the cold and unpredictable Alberta winters. They are given ample room to move around and express natural behaviors in barns that have lots of windows to provide natural sunlight. By buying BCSPCA certified humane products you know that the meat that you are purchasing came from an animal that was treated humanely and with respect. Staff comment: "One of our favourite quick meals - so tasty and juicy! 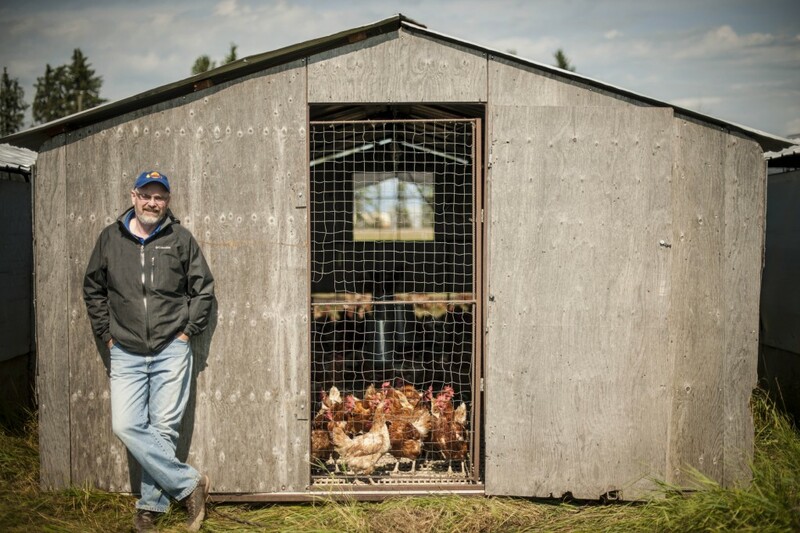 "<br> All our chickens and turkeys are certified organic and BCSPCA certified humanely raised. In the summer our poultry are raised free range on pasture with shelters that are moved daily onto fresh grass. The birds have lots of room to run while still having shelters to give them shade from the sun and protection from the rain. The range area and the shelters are surrounded with mesh to protect them from predators. By moving the ranges daily, the birds have access to fresh vegetative grass at all times. This gives our birds a clean healthy environment to thrive in. The birds are fed free choice certified organic grains, vitamins and minerals. In the winter the birds are raised inside to protect them from the cold and unpredictable Alberta winters. They are given ample room to move around and express natural behaviors in barns that have lots of windows to provide natural sunlight. By buying BCSPCA certified humane products you know that the meat that you are purchasing came from an animal that was treated humanely and with respect. These are great cooked up on the grill. Picky eaters I know like them sliced up, fried, and dipped in ketchup! Serve alongside a little mac & cheese (or a salad if you're feeling more virtuous) and you've got a quick weeknight meal. All our chickens and turkeys are certified organic and BCSPCA certified humanely raised. In the summer our poultry are raised free range on pasture with shelters that are moved daily onto fresh grass. The birds have lots of room to run while still having shelters to give them shade from the sun and protection from the rain. The range area and the shelters are surrounded with mesh to protect them from predators. By moving the ranges daily, the birds have access to fresh vegetative grass at all times. This gives our birds a clean healthy environment to thrive in. The birds are fed free choice certified organic grains, vitamins and minerals. In the winter the birds are raised inside to protect them from the cold and unpredictable Alberta winters. They are given ample room to move around and express natural behaviors in barns that have lots of windows to provide natural sunlight. By buying BCSPCA certified humane products you know that the meat that you are purchasing came from an animal that was treated humanely and with respect. Fire up the grill and serve these in a bun with all the fixin's! A little potato salad on the side and you've got a meal. All our chickens and turkeys are certified organic and BCSPCA certified humanely raised. In the summer our poultry are raised free range on pasture with shelters that are moved daily onto fresh grass. The birds have lots of room to run while still having shelters to give them shade from the sun and protection from the rain. The range area and the shelters are surrounded with mesh to protect them from predators. By moving the ranges daily, the birds have access to fresh vegetative grass at all times. This gives our birds a clean healthy environment to thrive in. The birds are fed free choice certified organic grains, vitamins and minerals. In the winter the birds are raised inside to protect them from the cold and unpredictable Alberta winters. They are given ample room to move around and express natural behaviors in barns that have lots of windows to provide natural sunlight. By buying BCSPCA certified humane products you know that the meat that you are purchasing came from an animal that was treated humanely and with respect. This value box contains 6 packages of speciality spicy chicken sausage. 2 Italian (4pk), 2 Chorizo (4pk), 2 Moroccan (4pk). All our chickens and turkeys are certified organic and BCSPCA certified humanely raised. In the summer our poultry are raised free range on pasture with shelters that are moved daily onto fresh grass. The birds have lots of room to run while still having shelters to give them shade from the sun and protection from the rain. The range area and the shelters are surrounded with mesh to protect them from predators. By moving the ranges daily, the birds have access to fresh vegetative grass at all times. This gives our birds a clean healthy environment to thrive in. The birds are fed free choice certified organic grains, vitamins and minerals. In the winter the birds are raised inside to protect them from the cold and unpredictable Alberta winters. They are given ample room to move around and express natural behaviors in barns that have lots of windows to provide natural sunlight. By buying BCSPCA certified humane products you know that the meat that you are purchasing came from an animal that was treated humanely and with respect. This value box contains 6 packages of specialty savoury chicken sausage. 2 Garlic and Rosemary (4pk), 2 Mettwurst (4pk), 2 Onion and Herb (4pk). All meat is grown onsite by Sunworks Farm in Armena, AB and provincially inspected. All our chickens and turkeys are certified organic and BCSPCA certified humanely raised. In the summer our poultry are raised free range on pasture with shelters that are moved daily onto fresh grass. The birds have lots of room to run while still having shelters to give them shade from the sun and protection from the rain. The range area and the shelters are surrounded with mesh to protect them from predators. By moving the ranges daily, the birds have access to fresh vegetative grass at all times. This gives our birds a clean healthy environment to thrive in. The birds are fed free choice certified organic grains, vitamins and minerals. In the winter the birds are raised inside to protect them from the cold and unpredictable Alberta winters. They are given ample room to move around and express natural behaviors in barns that have lots of windows to provide natural sunlight. By buying BCSPCA certified humane products you know that the meat that you are purchasing came from an animal that was treated humanely and with respect.